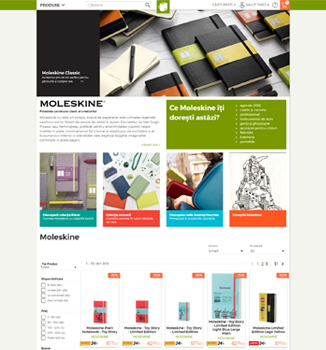 We are a small, resourceful Web Development Agency based in Bucharest, Romania. Our developers and designers are some of the most talented people available in the region. We approach each project individually,carefully taking into account your requirements and needs. Web development is a very fast paced industry. Existing solutions that were cutting edge less than a year ago, can be outdated today. For this reason, when starting a new assignment we always do a survey of currently existing technologies and pick the technology solutions that are perfectly suited for your situation. We focus on what we do best, but we accept challenges when we connect with a client’s idea. We are specialized in web applications, rather than just websites, but no project is too big or too small, so talk to us to see if we can deliver your vision. For the backend we mostly use PHP, coplemented by the wonderful YII2 framework, which we've been using ever since it's alfa launch. We develop the required interfaces using modern and flexible protocols, so that further extending and connecting the components is almost a breeze. We have beautiful technology working on the server, such as th complex Solr search platform, built on Apache Lucene. We use bleeding edge technologies such as web components and design languages such as Google’s material design. Today's web presence means so much more than a few handpicked stock photos spiced up with smart call to actions trying to convince the user to join a newsletter or submit a contact form. It means giving users the information they need when they need it and connecting anything to everything using meaningful, user-friendly interfaces. ...third party API's (such as Bullhorn's recruiting API, Amazon, Stripe) into any framework (such as WordPress, Yii2 or Ionic). Our team includes core WordPress contributors and plugin authors but we never limited ourselves to WordPress. We are constantly testing new frameworks making sure we pick the one that best suits our client's needs. 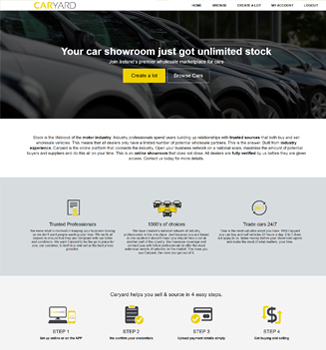 recently launched caryard.ie, Ireland's premier wholesale market for cars. There are loads of others in Bucharest and in the country but this one is almost the only one with a dedicated atmosphere instead of being a shop that says "bookstore" on the front door like the others. We took the Carturesti experience and brought it into the online medium. 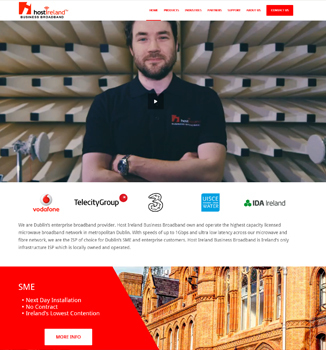 Founded in 1998 Host Ireland became the leading hosting provider in Ireland servicing over 12,000 business customers by 2004.In 2011 Host Ireland Business Broadband was launched due to the growing requirement for affordable high speed business broadband in the greater Dublin area. Stock is the lifeblood of the motor industry. Industry professionals spend years building up relationships with trusted sources that both buy and sell wholesale vehicles. Built from industry experience, Caryard is the platform that connects the industry. This is an online showroom that does not close. We’ve built e-commerce websites from scratch, augmented with in-store info-kiosks and back-office features such as full ERP integration or third-party product listing and order management, but we also master wordpress. The app is designed to perform a variety of tasks, which can be implemented as different views or different websites, depending on the necesity. Each functionality and operational responsability can be segregated and delegated to a certain group of users. We take pride in the quality of our work. We don’t cut corners and we don’t waste your time. Contact us for details on our capabilities and to discuss your project.